"I’ve always been a bit obsessed with blue," says Penguin Random House's (PRH’s) Suzanne Dean. The creative director is explaining the origins of the cover of Bluets, Maggie Nelson’s meditation on desire and suffering, in which the colour is a recurring theme. One of the main challenges of creating the cover, which went on to win a 2018 V&A Illustration Award, was how to reflect the colour’s potency on the page. "For a while, I immersed myself in the exploration of all things blue," she recalls. "I collected, painted and photographed. I began noticing blue objects wherever I went. They snuck up on me; they jumped out at me. I painted patterns in blue ink, but none were strong enough as standalone pieces. Just as the text in the book was layered in its paragraphs, so I experimented with layering the patterns in Photoshop and setting them against a black background. The blue became almost iridescent, sharp and electric." This was an example of how cover designers should go about their task, she says - drawing influences from far and wide. "If you just sit all day at a screen in an office, it’s hard to produce exciting work. I encourage my designers to visit galleries and museums and cinemas and to go on trips - people always end up using what they’ve seen." Her theory is this: input equals output - although the relationship between the two is often impossible to decipher. 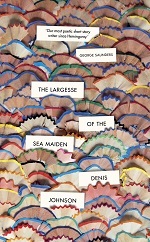 One example is the cover she recently did for Denis Johnson’s short story collection, The Largesse of the Sea Maiden, featuring original artwork created from multi-coloured pencil shavings. "I went to see the editor and said, ‘I’ve got this idea, you might think it’s mad, but I really think it works,'" she says. "There are lots of mentions of writing in the book - and the cover reflects the sea aspect, plus looks a bit like a sea monster’s scales, but I don’t know how exactly I came to that visual. Something I’d seen must have popped into my head. Sometimes there’s no simple logic as to how the idea arrives, and sometimes it takes a huge amount of work to get there. Either way, it’s a joy to have that Eureka moment. "Play is very important to creativity. You have to experiment, push yourself and, if you push in lots of different directions, you often come across something that you didn't know was there. It’s important to spend time simply looking, letting scenes, objects and people inspire you. An interest in other disciplines helps - it’s good to pick up a brush or take a photograph." Dean’s office in PRH’s Vauxhall Bridge Road building, its walls covered with drawings, cuttings, photos and in-progress covers, reflects this approach. "I gather lots of bits and pieces that relate to what has inspired me in the text and often create a mood-board. I can’t bear not to finish a manuscript, because I’m afraid I’ll miss something that’s relevant, and I’ll always make notes as I read it. I want to respond to the text, so I’m aiming to capture the essence of the book, and am constantly considering what’s important to that book and that author. You’ve got to produce something that, across a really small surface area, can catch the eye, is enticing enough to makes someone pick it up and ultimately feels integral to the book." Sometimes, she says, she knows early on what approach to take; other times it can involve a huge amount of time and thought. 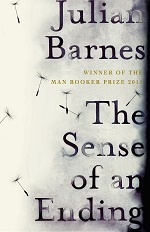 This was the case with the original hardback of The Sense of an Ending by Julian Barnes, an author she’s worked with for 20-plus years. Ideas included period photographs of schoolboys, an image of a couple; Dean also tried out period watches bought on eBay. Just as the Vintage team and Barnes were about to settle on an image featuring old rulers and a watch, Dean had second thoughts. Then, still focusing on the concepts of time and memory, she explored "disintegration" of the text. Eventually she moved the title letters to the right, smudging them into darkness, and asked the production department to make the ends of the book’s pages black, graphically representing the 'ending'. "That’s when I got a little flutter," she says. Her efforts were acknowledged when the author described the book as a "beautiful object", dubbing Dean "the best book designer in town" in his 2011 Man Booker Prize acceptance speech. "I was in the audience at the event and was a bit overwhelmed," she says. "It was totally unexpected - and incredibly generous of him!" 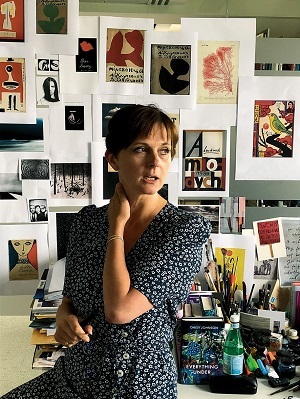 Over the 25 years that Dean has been in the business, she has been responsible for memorable covers such as the hardback of Donna Tartt’s The Secret History, various titles by Haruki Murakami, and Helen Macdonald’s H Is for Hawk. Across the publishing trade during that time, she believes, covers have got better - cleverer and more beautiful. While fashions and tastes go through phases, it’s a mistake to try to emulate a previously successful design - not least because of the lead time. "We’re often working a year ahead, sometimes more. By the time the book reaches the shops, a preference for a particular type of cover may well have passed. Plus, good designers don’t want to copy other people’s work; they want to come up with their own." One cover she’s particularly proud of at present is the soon-to-be-released You Know You Want This by Kristen Roupenian, featuring the title in stark typography. "I’d seen some iridescent foil on business cards - from the Far East, I think - and so we’ve done the title in iridescent rainbow foil. There’s not even the author’s name on the front, although it is on the spine. The title is so bold - that’s a gift to a designer." It’s all a far cry from Dean’s first job working on packaging and brochures at a graphic design firm after leaving Kingston University. She still recalls having her Gustav Klimt-inspired idea for a yoghurt kicked into touch because it was deemed too exciting. "I tried to explain that it tied in with the product’s rich and creamy nature, but I knew then that the job wasn’t for me." 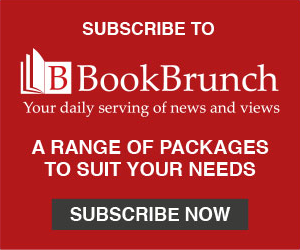 She found the creative freedom she’d been craving joining Penguin, and, after three years with Hamish Hamilton, spent five at Picador, joining Random House in 2000. It’s unusual for a creative director to stay nearly 20 years in a role, she acknowledges. "You have to be continually inventive and constantly want to try different things. You’ve got to be calm, be able to listen, take criticism and you have to be quite resilient. You can’t be a prima donna; sometimes you’ve got to simply move on and revisit or reinvent your vision. You have to be very organised, too. I have about 30 projects on the go at any one time at different stages, so there’s a lot of juggling. "Sometimes, the task can be quite intimidating, because there’s so much that’s beautiful and so many great designers out there, but you have to have faith in yourself. There have only been two books in last 20 years I’ve decided not to work on - I’m not going to mention which ones they were, but I just couldn’t connect with them. "You have to collect ideas, too. Designers never totally switch off and I’m forever snapping pictures on my phone. Often, my family will be standing waiting outside a bookshop, tutting, while I scan the shelves inside! I’m definitely a driven person - perhaps a little obsessive. My obsession with the colour blue certainly hasn’t abated since I finished designing the cover for Bluets."